Home Earn Money Online Guest Author Guest Post Opportunities How Can Students Earn Money on the Internet or Online? How Can Students Earn Money on the Internet or Online? It's never easy to deal with college costs – they can be extremely daunting. It is difficult for students as well as parents to manage these expenses. 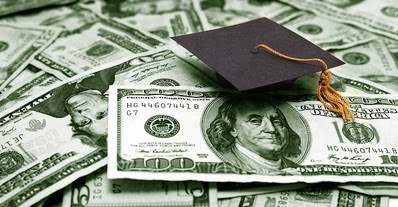 As parents and students scope out the classrooms, dorms, and dining halls, they always listen carefully to financial aid and admissions officers to find out how to pay for college. While parents have their part to play, students can always take some steps and earn some money to support their education. It is true that most students are left with very little time after taking care of their coursework, assignments, and other academic issues, but some jobs don't require that much of time and they still pay well. You can find these kinds of jobs over the internet. Students can use different options, but we suggest you to take your time and ensure that you're working with a legitimate employer that will not try to rip you off. With social media getting all the attention, it's important for many businesses to maintain a presence online. The problem is that some of these businesses don't have time to update their accounts regularly, and that's where you come in. You can work with a company called "Sponsored Tweets" where you're asked to make tweets for someone else. The only thing you should understand is that this job will not pay hundreds of dollars, but you will still earn something in the process. To earn more, you can work with multiple companies – Magpie and MyLikes are two other good options for you to consider. It doesn't matter if you're good at designing or you love coding, you will find a site out there to put your skills to use – and this will pay you some money as well. The thing you should bear in mind is that though there are several sites where you can find different projects, not all of them will guarantee payments. It is so because online employers know you can do nothing to chase them, and the only thing that encourages them to pay is their own integrity. Still, some sites have taken some steps on their own to ensure that their writers, coders, and designers get paid for their hard work. Here are a few sites for you to consider. Elance is a nice outsource platform where you can find hundreds of jobs as per your skills and talents. However, the problem is that job seekers will have to deal with serious competition, which is the reason why most employers would want to hire you for pennies. You may find it difficult to negotiate rates, especially when you're new. Luckily, their online tests are free, which means you can take a few of them to tell your employer that you might be new, but you're qualified enough to handle their projects. Another issue you might find with Elance is that their email system is quite annoying – they send so many mails and won't let you direct these mails to the Junk folder. ODesk is another popular site you could trust. It works quite like Elance, but you will have to pay some money to undertake the tests. However, if you're a programmer, you stand a better chance of securing a job through ODesk as compared to other alternatives. For programmers, it's also a good idea to try their luck at Microworkers. It's a good site with loads of projects available for the taking, but you will have to stay content with lower payments. Mechanical Turk is another nice choice, and is a good alternative to Microworkers. It is actually a better site as compared to Microworkers, which is mainly because Amazon owns it. In addition to these, you can try other popular sites for some quickies. At Fiverr, you can choose from a list of tasks, each of which pays five dollars – you can do the same at Just a Five and GigMe5. Moreover, you can earn ten dollars a task at TenBux, whereas Fittytown offers you $50 per project – the website UpHype offers $8, $16, $24 a task. If you know how to play with words, you will get many chances to work online. Demand Media is one of better choices, mainly because they offer better rates as well as some nice incentives to their staff. You may also put your money on Associated Content, where you can expect upfront payments – it's a good choice but you need to write a lot to earn a reasonable amount. In addition, writers can also start with iwriter or Break Studios, but do keep in mind that iWriter won't pay much in the beginning, whereas Break Studios seems to be a better choice for those who like to write shorter articles. My name is Sonia Jackson. I represent the web-site www.essay-land.com . We’ll help you to solve all problems with writing different essays and research papers in a short time.